It seems Lytro has found a way to do away with focus-pulling, rotoscoping, chromakeying and the green screen forever, with the Lytro Cinema system. Lytro is the company that released those nifty little square tube light field cameras back in 2012, you remember them, where the digital image created would allow you to change focus depending on where you touched it. Well, they have taken that same light field technology up quite a few notches with the new Lytro Cinema system for film & television. Where traditional cameras capture a flat 2D image, the Lytro Cinema camera captures all of the 3-dimensional volume information (Z-depth) of what you’re shooting, creating a complete virtualisation of the live action capture. 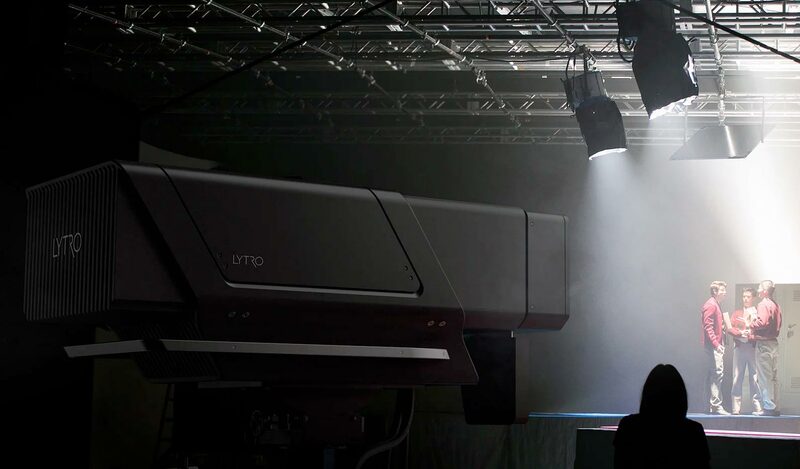 Lytro is calling it a ‘complete paradigm shift’ in the integration of live action footage with CGI and VFX. Every frame of live action becomes a 3D model, every pixel has colour, direction and depth properties, which opens a whole new world of possibilities in post-production. “We are in the early innings of a generational shift from a legacy 2D video world to a 3D volumetric Light Field world,” said Jason Rosenthal, CEO of Lytro. With this new system, choosing where you want to pull focus or depth of field would be done in post, not on set, but that’s only the beginning of what this tech is capable of. The integration of live action footage with VFX opens up capabilities like ‘Light Field Camera Tracking’ and ‘Lytro Depth Screen’. The latter of which allows you to accurately rotoscope every object and space in the scene, without the need to use chromakey or green screens – goodbye roto department, it’s been real. “There are a lot of companies that have been applying new technologies and finding better ways to create cinematic content, and they are all looking for better ways and better tools to achieve live action highly immersive content. Lytro is focusing on getting a much bigger, better and more sophisticated cinematography-level dataset that can then flow through the VFX pipeline and modernize that world,” said Ted Schilowitz, Futurist at FOX Studios. The camera itself is said to have the highest resolution video sensor ever designed, 755 RAW megapixels at up to 300 FPS. With up to 16 stops of dynamic range, wide color gamut, and integrated high-resolution active scanning. All of that high-res raw data set (of colour, direction & depth) captured, produces a ‘Light Field Master’ that can be rendered to multiple formats, including IMAX, RealD and traditional cinema and broadcast at variable frame rates and shutter angles. 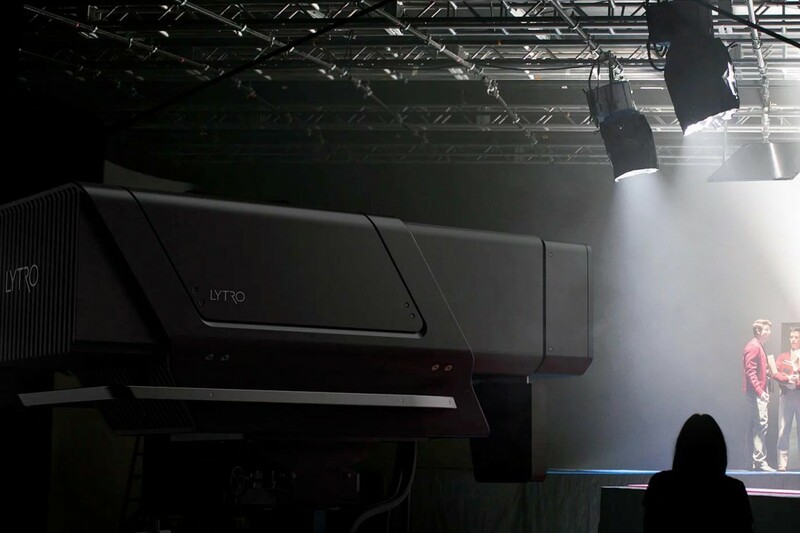 Lytro Cinema is an entire system, comprised of a camera, server array for storage and processing (which can also be done in the cloud), and software for editing Light Field data. The company says the entire system will integrate into already existing production and post-production workflows, and will work in tandem with industry standard tools. Don’t expect to see these in your local gear rental place anytime soon, however, you can only apply for a demonstration currently. Also, we can expect this to be a pricey package. For indie filmmakers, don’t despair, the company is also releasing the Lytro Immerge, a Light Field cinematic VR system, which we expect to be priced a smidge closer to an indie-budget (at least we hope). 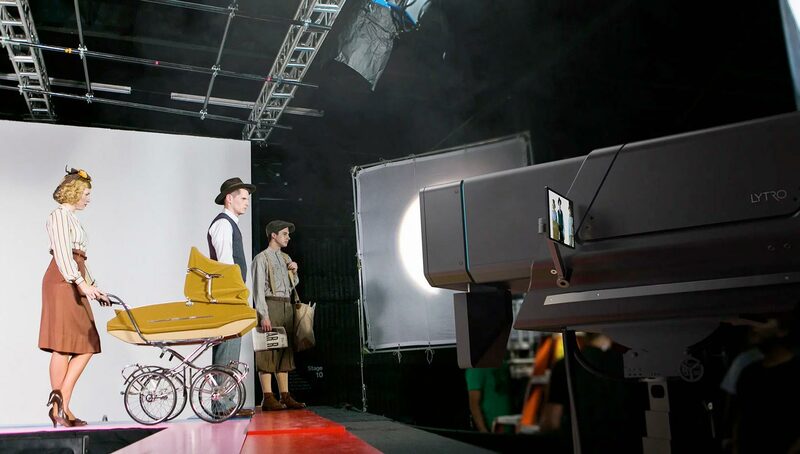 It uses similar technology to the Cinema system, only it captures the full 360º, allowing users to ‘walk’ around the environment, with shadow’s being relative to the subject. You can apply for a prototype for the Immerge system, here. 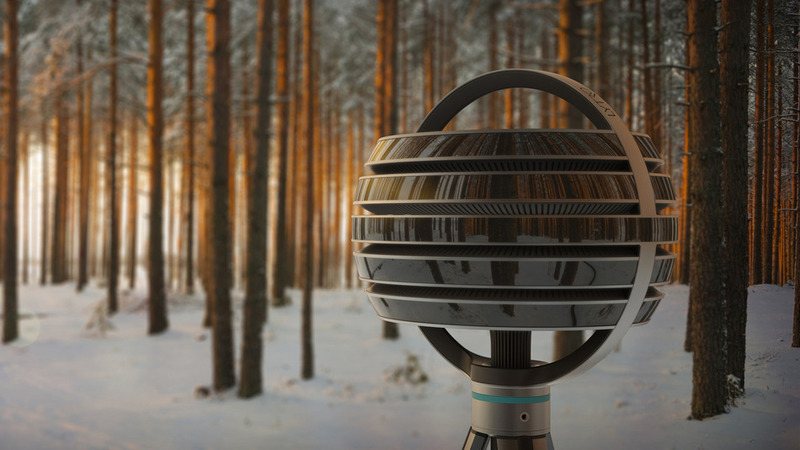 Lytro Immerge, it looks a little like a spaceship. For more info on the Lytro Cinema system, check: www.lytro.com/cinema. But before you do anything else, watch the preview video below of the Lytro Cinema system in action.